Background: Hepatitis C virus (HCV) is a main public health problem causing chronic liver infection and subsequently liver cirrhosis and lethal hepatocellular carcinoma (HCC). Vaccination based on HCV capsid proteins has attracted a special interest for prevention of viral infections. The core protein is a basic and evolutionary most conserved protein, which regulates the cellular processes related to viral replication and pathogenesis. The envelope E1 and E2 proteins involve in generation of the infectious particles, viral entry by binding to a host cell receptor, and modulation of the immune responses. Objectives: In current study, the efficient generation of recombinant core and core-E1E2 proteins was developed in bacterial expression systems. Materials and Methods: The expression of HCV core and core-E1E2 proteins was performed using prokaryotic pET-28a and pQE-30 expression systems in BL21/ Rosetta, and M15 strains, respectively. The protein expression and identification were detected by SDS-PAGE and western blotting using anti-His antibody. The recombinant proteins were purified using affinity chromatography under native conditions and also reverse staining method. Finally, the levels of recombinant proteins were assessed by BCA kit and spectrophotometer. Results: The data showed a clear band of ~ 573 bp for HCV core and ~ 2238 bp for core-E1E2 genes in agarose gel. Moreover, a ~ 21 kDa band of core protein and a ~ 83 kDa band of core-E1E2 protein were revealed in SDS-PAGE and Western blotting. The affinity chromatography could not purify the core and core-E1E2 proteins completely, because of low affinity to Ni-NTA bead in comparison with reverse staining method. Conclusions: This study is the first report for purification of HCV core and core-E1E2 proteins using the reverse staining procedure with no need of any chromatography columns. The BL21 strain was more potent than Rosetta strain for HCV core protein in pET 28a expression system. Furthermore, M15 strain was suitable for expression of coreE1E2 in pQE-30 bacterial system. Regarding the WHO report, Hepatitis C virus (HCV) infections affect about 170 million people (~ 3%) in the world (1, 2). HCV belongs to the Flaviviridae family and has positive single strand RNA in genome with length of 9.6 Kb (3, 4). The HCV polyprotein is divided into three structural proteins including the nucleocapsid or core protein and the two envelope glycoproteins, E1 and E2, and seven non-structural proteins (NS2, NS3, NS4A, NS4B, NS5A, NS5B) (3, 4). The core protein plays an important role in the formation of the capsid shell, and influences various host cell functions such as gene transcription, lipid metabolism, cell signaling, and apoptosis (1, 5, 6). The envelope glycoproteins usually contain N-linked glycans that may participate in folding, fusion with the membrane of the host cell (entry functions), and modulating the immune responses (7). The humoral immune response to HCV infection is polyclonal antibody directed against viral antigens. Antibodies directed against the envelope proteins of the HCV virus are considered the first candidates for virus-neutralizing antibodies (8, 9). However, there is no effective HCV vaccine due to very low levels of viral particles in plasma or liver tissues of infected patient, and the lack of convenient tissue culture systems and also animal models (5, 10, 11). Therefore, the use of recombinant proteins especially structural proteins can be considered as an important strategy in stimulation of humoral immune responses. Many studies have produced HCV core or HCV core-E1E2 proteins in different expression systems such as bacteria (12, 13), insects (4, 10, 14), and yeast (15, 16). Usually, the truncated fragments of core, E1 or E2 were produced in bacterial systems (17). In this study, we developed the production of the full length HCV core and also core-E1E2 protein using bacterial expression system and reverse staining method for the first time. Indeed, the zinc/imidazole reverse staining procedure based on differential salt binding was used for visualizing and separating proteins in acrylamide gel. In current study, the recombinant proteins of HCV core and core-E1E2 linked to a His-tag were generated using different prokaryotic expression systems. For the first time, we used the reverse staining procedure for purification of the recombinant proteins. The sequences of HCV core and core-E1E2 genes were obtained from GenBank (Accession number: AB047640).The design of primers and the restriction enzymes were performed to clone the full length of core (~ 573 bp) and core-E1E2 (~ 2238 bp) in pET-28a and pQE-30 vectors, respectively (Table 1). PCR reaction was carried out within 35 cycles for core gene (denaturation at 94°C for 1 min, annealing at 55°C for 1 min, and elongation at 72°C for 1 min). The same PCR reaction was performed for core-E1E2 with different annealing temperature (58°C) and elongation time for 2 min using PFU DNA polymerase (Fermentase, Germany). The PCR product was separated in electrophoresis using 1% (w/v) agarose gel, stained by ethidium bromide, and visualized under a UV transilluminator. The restriction enzymes were BamHI/SacI (Fermentas) for core cloning into pET-28a plasmid and BamHI/HindIII (Fermentas) for core-E1E2 cloning into pQE-30 plasmid. After gel extraction (Qiagen kit), the ligation of core gene into pET and also core-E1E2 gene into pQE30 was done by T4 DNA ligase (Fermentas) overnight at 14°C. Next, E. coli DH5α strain was transformed by the ligation solutions consisting pET-core or pQE-core-E1E2. A single colony of each transformant was grown in LB media containing ampicillin (100 mg.mL-1) for pQE-coreE1E2 and kanamycin (25 mg.mL-1) for pET-core at 37°C for 12-14 h. Plasmids were purified using mini-kit (Qiagen) verified by PCR or digestion, and sequenced using the dideoxy chain termination method on an automated sequencer. Finally, the recombinant plasmids were transformed into E. coli BL21 (DE3) and also Rosetta strains for core and M15 for core-E1E2. A single colony of transformant was grown in LB media containing kanamycin for BL21 and Rosetta, and kanamycin and ampicillin for M15 strain at 37°C for 12-14 h.
The positive bacterial clones were inoculated in 50 ml TY2X medium and grown to an optical density of 0.7-0.8 at 600 nm. The expression of core and core-E1E2 genes was induced by adding 1 mM IPTG and the pellet was harvested at 3 h post-induction. The pellet was dissolved in 50 μL of SDS sample buffer 2X and boiled for 5 min. Total proteins were analyzed by SDS-PAGE in 12.5% (W/V) polyacrylamide gel (SDS gel apparatus; BioRad), followed by staining with coomassie brilliant blue and also Western blotting. For western blot analysis, the core or core-E1E2 proteins resolved on the gel were transferred onto protran nitrocellulose transfer membrane (Schleicher and Schuell Bioscience, Germany). The membrane was pre-equilibrated with TBST solution [10 mM Tris-HCl (pH 7.4), 150 mM NaCl, and 0.1% Tween 20] containing 2.5% bovine serum albumin (BSA) overnight and then, reacted with anti-His antibody (1:10000, Qiagen) for 2 h at room temperature. After 3 washes with TBST, the membrane was incubated with anti-mouse IgG-HRP (1:10000, Sigma) for 1.5 h at room temperature. The immunoreactive protein bands visualized using peroxidase substrate 3, 3’- Diaminobenzidine (DAB, Sigma). The HCV core and also core-E1E2 proteins were purified under native conditions on a nickel-nitrilotriacetic acid (Ni-NTA)-agarose column according to the manufacturer protocol (Qiagen). Briefly, the cell pellet was solved in lysis buffer A (10 mM Immidazol, pH 8) and placed in ice for 30 min and then sonicated for 20 min. The supernatant was recovered after centrifuging the disrupted cell suspension in 4000 ×g for 20 min at 4°C. The lysate was applied on the Ni-NTA column (Qiagen). Following three washes by buffer B (30 mM Immidazol, and pH 8), purified protein was eluted by 300 mM imidazole elution buffer (pH 8). Purified core and core-E1E2 proteins were analyzed by 12% SDS-PAGE and western blotting according to above described protocols. The bacterial pellets containing core and also core-E1E2 were dissolved in lysis buffer and placed on ice for 30 min. The lysates were sonicated for 20 min and the samples were dissolved in sample buffer 6× and boiled for 5 min. The core and core-E1E2 proteins were analyzed by SDS-PAGE. An imidazole-SDS-Zn reverse staining method was used for the purifications as described earlier (18). The purified proteins were concentrated and dialyzed against PBS (dialysis membrane, MWCO: 3.500 kDa). Protein concentration was measured using BCA assay kit (Pierce, USA) and spectrophotometer. The recombinant protein was kept at -20°C until use. The recombinant plasmids expressing HCV core and core-E1E2 proteins were confirmed by digestion as well as PCR analysis indicating core and core-E1E2 gene amplification. The results showed a clear band of ~573 bp for HCV core and ~2238 bp for core-E1E2 gene in agarose gel (Figure 1). In addition, a ~ 21 kDa band for core protein and ~ 83 kDa for core-E1E2 protein were revealed in bacterial system using SDS-PAGE (Figures 2) and Western blotting (Figure 3). The pET expression system was efficient for expression of HCV core protein, while the pQE expression system was convenient for expression of HCV core-E1E2 protein. Furthermore, the type of bacterial strain was an important factor for high core protein expression. Indeed, the level of core protein expression in BL21 (DE3) was higher than that in Rosetta strain (Data not shown). Western blot analysis was performed using anti-His antibody to ensure the proper expression of recombinant core and core-E1E2 proteins. The specific bands with expected sizes (21 kDa for core and 83 kDa for core-E1E2) were detected in the induced bacterial lysate, although a non-specific band was also observed in both samples before and after IPTG induction with anti-His antibody. The purification of core and core-E1E2 was performed by two different methods such as affinity chromatography with Ni-NTA column, and reverse staining procedure. The results showed that the reverse staining method based on Zn-Imidazole-SDS was more efficient than affinity chromatography for protein purification (Figure 2). The Ni-NTA could not purify completely the core and core-E1E2 proteins as compared to reverse staining method. Total protein concentration of the samples, was assessed using BCA kit and spectrophotometer for next tests. The amounts of proteins were variable with changing culture volume. Generally, the amounts were obtained as 300-400 μg.mL-1 and 100-200 μg.mL-1 for core and coreE1E2 proteins, respectively. The studies showed that HCV core antigen is a major target to improve HCV preventive vaccines. One of the major problems in development of HCV vaccine is its wide genetic variants. It has been shown that core antigen is a highly conserved protein (2). Serum antibodies against HCV core protein epitopes (residues 7-21, 31-45, 49-63, 99-113) were shown in HCV patients. Due to contribution of all amino acid residues of HCV core, total of 191 amino acids of this protein were included in vaccine design. Indeed, the conservative feature of the core gene in different HCV genotypes and the low susceptible of mutation in this region, make this protein an ideal candidate for HCV vaccine (2). Therefore, the production of core protein was done in different expression systems (12-17). The use of bacterial systems showed promising results as compared to other eukaryotic systems such as insect cells and yeast because of less time for production, high-level yield, and cost-effectiveness ((3)). For example, the expression of core in E. coli BL21 using pGEX4T-2 (3) or pGEMEX-1 (1) expression vectors was performed using IPTG inducer as a recombinant fusion protein (e.g., GST fused protein). In these studies, HCV core was purified through affinity chromatography (3). The authors showed that during viral morphogenesis, HCV core protein is cleaved by cellular signal peptidase into the truncated core proteins of 191 and 173 with molecular weights of 21 and 19 kDa, respectively (19, 20). Three major domains could be determined in the 21 kDa core fragment (21, 22). The hydrophilic domain containing an immunodominant epitope is among the first 121 amino acids of core sequence which can induce antiviral immune responses (23). Therefore, some studies generated the truncated fragments of HCV core, e.g., expression of the hydrophilic domain of core antigen (2-122 aa) in E. coli BL21 using an arabinose induction system. This fragment was purified in native condition on a Ni-NTA-agarose column (17). In other study, pQE-60 and pQE-30 plasmids were used for expression of the fragments of HCV structural and nonstructural proteins in E. coli. The fragments containing core (1-98 aa), NS3 (202-482 aa), and tetramer of hypervariable region 1 (HVR1) of E2 protein could be expressed in high levels in JM109 E. coli and purified by affinity chromatography for mice immunization (24). Furthermore, production of HCV-like particles in insect cells were performed using a recombinant Baculovirus containing the cDNA of the HCV core-E1E2 structural proteins (4, 10). Up to now, the expression of core-E1E2 was not reported in bacterial systems. In addition, the full length of HCV core was expressed using fusion bacterial vectors (e.g., GST tag) that needs further isolation and purification processes. Also, Ni-NTA was used as a common method for purification by His-tag. In current study, we used two different expression vectors including pET-28a for core expression in Rosetta and DE3 strains, and pQE-30 for core-E1E2 expression in M15 strain. SDS-PAGE analyses of IPTG-induced cell lysates showed the presence of a prominent protein band that was not detectable in non-induced cell lysates. In the presence of SDS and 2-mercaptoethanol, the core and core-E1E2 protein migrated as a 21 kDa and 83 kDa protein during electrophoresis, respectively. The results showed that the core protein expression in BL21 (DE3) was higher than that in Rosetta. In addition, the pET and pQE expression systems were efficient for generation of HCV core and core-E1E2 proteins, respectively, among other bacterial expression systems. On the other hand, the purification of recombinant core and coreE1E2 could be performed using affinity chromatography and reverse staining method. However, Ni-NTA could not purify completely the recombinant proteins as compared to reverse staining method. Briefly, a variety of expression systems are available for protein production. Among them, E. coli has significant advantages of cost, ease of use and scale, which make it suitable to generate heterologous proteins. Improving the generation of recombinant proteins in E. coli generally involves changing several factors such as temperature, the expression strain, promoters, and induction conditions (25). In addition, there are a number of common fusion tags (e.g. His-tag) that are used to increase the efficiency of protein purification in E. coli. Herein, we showed a rapid protein elution from polyacrylamide gel bands at room temperature by reverse staining for preparation of core and core-E1E2 proteins (26, 27). Zinc-mediated protein fixation in the gel is fully reversible and the eluted biomolecules are neither chemically modified nor contaminated with organic dyes. This method can detect the bands corresponding to 5 ng of protein (28). In conclusion, two factors are important for efficient generation of proteins: strains and purification method. This study indicated the production of core and core-E1E2 proteins in two E. coli systems purified by reverse staining with Imidazole/Zinc. Future studies will be considered to use the recombinant core and core-E1E2 proteins for anti-viral vaccine design. MM performed experiments, analyzed data and wrote manuscript. AB supervised the study, analyzed data, and corrected the manuscript. SI and ND provided consultation. 4. Baumert TF, Ito S, Wong DT, Liang TJ. Hepatitis C virus structural proteins assemble into viruslike particles in insect cells. J Virol. 1998;72(5):3827-3836. 5. Polyak SJ, Klein KC, Shoji I, Miyamura T, Lingappa JR. Assemble and Interact: Pleiotropic Functions of the HCV Core Protein. In: Tan SL, editor. Hepatitis C Viruses: Genomes and Molecular Biology. Norfolk (UK)2006. 8. Grammatikos AP GE. Recent trends in the immune response against hepatitis C virus. Annals of Gastroenterology. 2005;18:46-55. 10. Yazdani-Neyshabouri SH AM, Jahanian Najafabadi A, Bouzari S, Arashkia A, Sadat SM, Siadat SD, Sadigh ZA, Hekmat S, Pouriayevali MH and Kashanizadeh N. Expression of recombinant hepatitis C virus (HCV) Core, E1 and E2 proteins by the baculovirus expression vector system. Afr J Microbiol. 2012;6:4152-4157. DOI: 10.5897/AJMR11 1494. 12. Hemmat JYB, Khajeh KH, Moosavi-Movahedi AA, Karkhane AA. Over-expression of full-length core protein of hepatitis C virus by Escherichia coli cultivated in stirred tank fermentor. 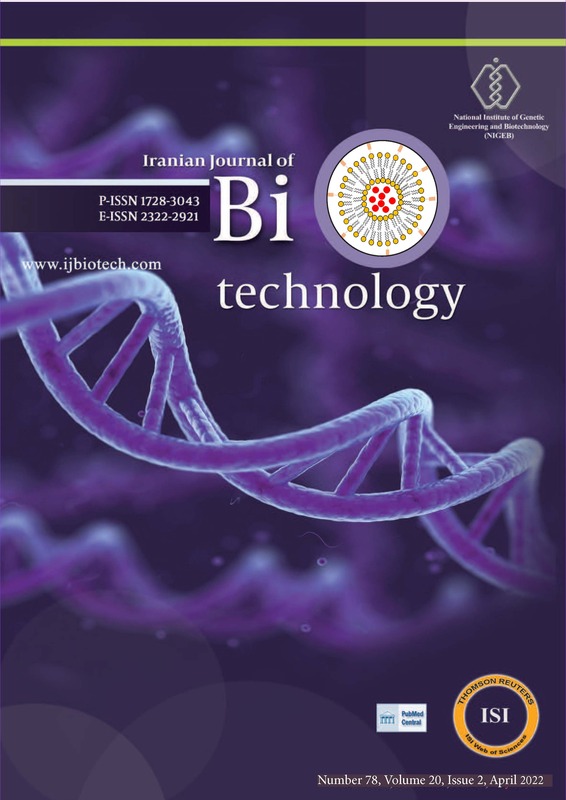 Iran J Biotechnol. 2011;9:245-252. 17. Aghasadeghi MR SS, Budkowska A, Khabiri AR, Amini S, Bahramali G, Naddaf SR, Roohvand F. Evaluation of a native preparation of HCV core protein (2-122) for potential applications in immunization, diagnosis and mAb production. Iranian J Publ Health. 2006;35:1-10. 25. Esposito D, Chatterjee DK. Enhancement of soluble protein expression through the use of fusion tags. Current Opinion in Biotechnol. 2006;17(4):353-358. DOI:10.1016/j.copbio.2006 .6.003. 26. Chen HM. Revisit of imidazole-zinc reverse stain for protein polyacrylamide gel electrophoresis. Methods in Molecular Biology. 2012;869:487-495. DOI: 10.1007/978-1-61779-821-4_43. 27. Fernandez-Patron C, Castellanos-Serra L, Rodriguez P. Reverse staining of sodium dodecyl sulfate polyacrylamide gels by imidazole-zinc salts: sensitive detection of unmodified proteins. Bio Techniques. 1992;12(4):564-573.